There is a common misconception that a person needs to be knocked unconscious to suffer a concussion or even a traumatic brain injury, but this is simply not true. We have seen many Boston personal injury lawsuits involving plaintiffs who suffered traumatic brain injury (TBI), without ever having lost consciousness in an accident. As discussed in a recent news article from Neurology Advisor, a study published in the Journal of the American Medical Association (JAMA) has shown mild traumatic brain injury which was not associated with a loss of consciousness still poses a significant risk for long-term dementia in trauma victims. The study involved patients who were treated by facilities associated with the U.S. Department of Veterans Affairs (VA), all of whom had been diagnosed with a traumatic brain injury. All of these patients had a normal baseline, meaning they did not have any prior traumatic brain injury. 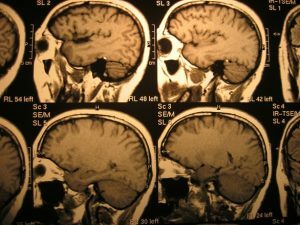 While we are on the subject of grading the severity levels of traumatic brain injuries from mild to severe, as our experienced Boston personal injury lawyers can explain, there may be a medical degree classifying a traumatic brain injury as mild, but this is not necessarily how patients and their families would classify the injury. Every brain injury case can leave a plaintiff with disabling conditions ranging from moderate to severe, such as loss of memory, inability to perform simple tasks such as eating by themselves, readings, or even talking, and there may also be a loss of major and minor motor control. For this reason, it is important to speak with an attorney who knows the devastating effects a traumatic brain injury can have on a plaintiff and his or her entire family. In many cases, the injured plaintiff will never be able to return to work again. This means the plaintiff will need money to pay for years of rehabilitation and even around the clock care. In some cases, other family members will have to help take care of plaintiff. We have seen cases where parents have had to leave their jobs as well to care for a plaintiff who suffered a traumatic brain injury in an accident. For this reason, you want to make sure to have an experienced brain injury attorney on your side fighting for the full and appropriate financial compensation to which you are entitled. In the patients studied as part of this recent program, there was a clear link between traumatic brain injury patients who developed dementia at a certain age, and their injuries. There was a control group who had not experienced a traumatic brain injury, study results showed significantly lower incidence of dementia. This research was done via a surveillance study, meaning they were not working with specific patients who consented to participate in a study, but instead were looking at records of patients, which have been collected over the years by Veterans Affairs. Since the data is generally stripped of any identifying information, there is no conflict under U.S. Food and Drug Administration (FDA) regulations or the Health Insurance Portability and Accountability Act of 1996 (HIPAA). One of the more challenging aspects in a traumatic brain injury case in Boston, where the plaintiff did not experience a loss of consciousness, will be to prove a traumatic brain injury has occurred. This will often require the use of an experienced medical expert. This expert will be contracted by the defense and can perform an examination of the plaintiff and look at all past medical records. The doctor will then typically write an opinion as to the severity of plaintiff’s brain injury and this report will be provided to counsel for the defense. While many cases will settle prior to trial, they will not typically settle absent such an opinion letter from a doctor. If the case does not settle, and a trial in the Suffolk Superior Court in Boston is needed, it will be likely this doctor will be subject to a deposition by opposing counsel and may have to testify at trial should the case proceed to a trial before a judge or jury. The defense will likely have an expert of their own who testifies the plaintiff does not have a traumatic brain injury, so the best thing a plaintiff can do is to speak with an experienced Boston brain injury attorney about this issue. If your attorney has handled many of these matters in the past, he or she will probably have a list of experienced medical professionals they routinely work with who will have the training and experience to accurately convey the truth to the jury so his or her client has a better possibility of receiving an award providing for a full and appropriate financial compensation. This is not to say you will be successful in every case, but having an experienced attorney on your side will certainly increase the probability of obtaining a successful result.